The event takes place in the framework of the exhibition project Smooth Structures that is being developed by artists’ initiative Enough Room for Space for December 2010. For this exhibition several artists are invited to respond to Lo’s new theory and to the notion of exotic spacetime and this event is part of a workshop organised with Martin Lo and some of the participating artists. Dr. Martin W. Lo is a member of the High Capability Computing and Modeling Group at the Jet Propulsion Laboratory, California Institute of Technology. He deals with what some claim is the single most important unsolved problem in physics uncovered in the 20th century, which is the problem of dark matter and dark energy. The basic issue at hand is the incredible fact that over 96% of the universe consists of dark matter and dark energy which cannot be directly observed. 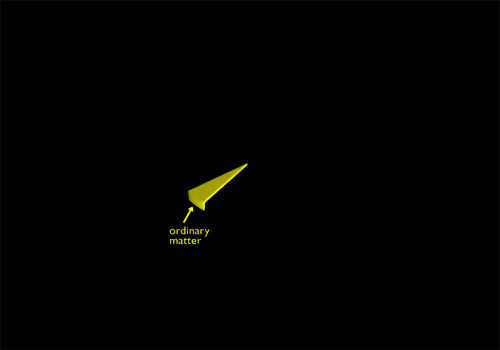 As to what this dark matter-energy is, no one knows for sure at the moment. The philosophical and metaphysical implications of such a paradigm shift in our understanding of the “concrete, material universe” will be huge, effects and consequences of which we must wait and see. Martin Lo will present a theory for dark matter-energy which is a conjecture by the well known general relativist, Carl Brans, that dark energy-matter is caused by the exotic smoothness of spacetime. This is a topological phenomenon which can only occur in dimensions four and greater. Lo will explain the concept in an accessible language as possible for those without a hard science back ground. After the lecture there will be time for Q&A and a short break. At 21.00 hrs Werner Herzog’s award-winning film The Wild Blue Yonder (2005) will be screened. Most of the film consists of documentary footage overlaid with fictional narration. The film is about an extraterrestrial who came to Earth several decades ago from a water planet, after it suffered through an ice age. His narration reveals that the aliens have tried through the years to form a community on our planet, though without great success. Filmed in collaboration with NASA musician/photographer Henry Kaiser, The Wild Blue Yonder travels light years into the stars, and fathoms deep into the Antarctic Ocean, and speaks with noted scientists to offer a unique view of the universe and a cautionary tale which stresses the importance of preserving our natural resources for future generations. Smooth Structures explored the unexpected intersections between a new dark matter and dark energy hypothesis and its conceptual visualization mediated through art. 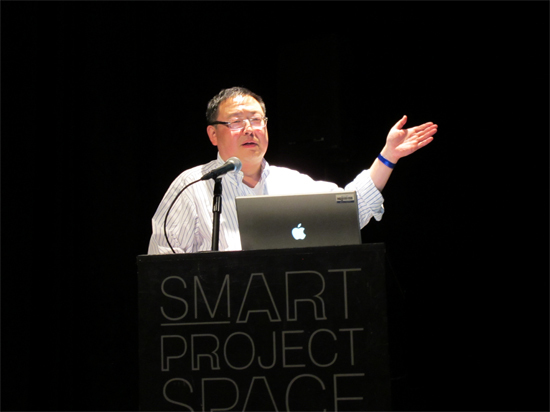 The mathematician Martin Lo (JPL/NASA), who is currently researching the “Brans’ Conjecture” theory with several other scientists, invited Enough Room for Space to respond artistically to such a hypothesis.